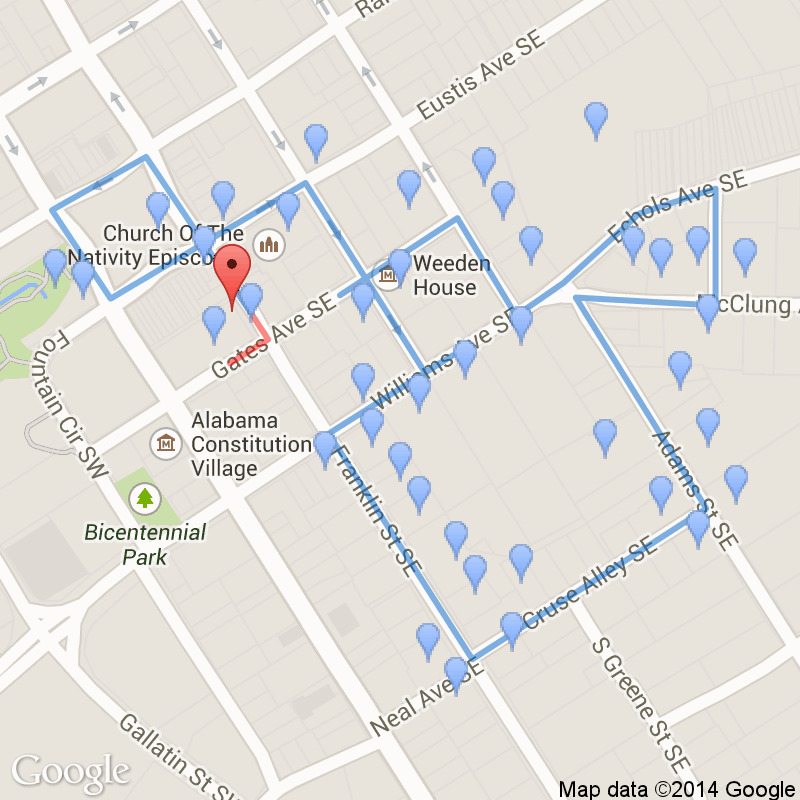 Continue up Franklin Street and notice the bell on your left to the right of the white Carpenter's Building. 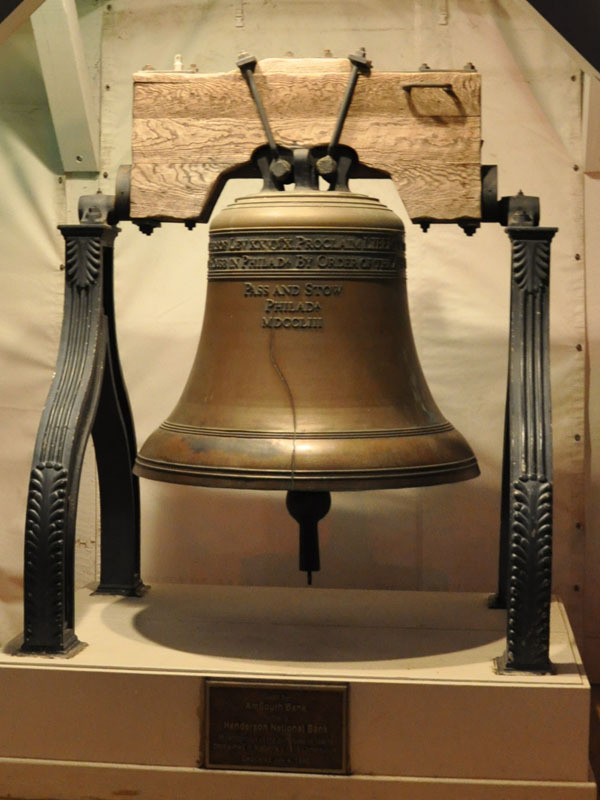 This bell was a gift from a local bank in 1986 to Constitution Hall Village. It commemorates the Liberty Bell of Philadelphia and the principles of freedom. 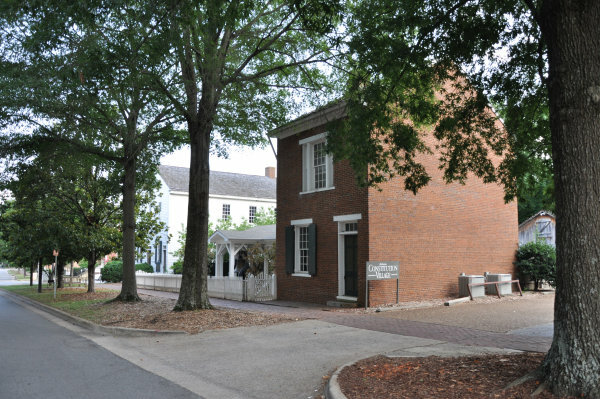 The small brick building is a replica of the law offices of former Governor Clement C. Clay and his three sons.